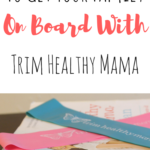 You are here: Home / Trim Healthy Mama / My Top 10 Frugal Trim Healthy Mama Tips and Tricks! Lately, my life focus has been my finances, particularly increasing the amount of income that I, as a WAHM bring in. When I stick to a grocery budget, I am passively increasing my income because I’m not spending money that could be used for savings, etc. I wanted to share with you a few of my top money-saving tips and tricks that I use to help deflect the cost of healthy eating. It’s my hope that you’ll learn something new from me today and that you’ll share some money-saving tips of your own! I wrote a whole series about how I menu plan for my family, so I won’t go too much into detail, but this is another way that I save money. It really helps to have an idea of what my meals are going to consist of and it puts those sales items to good use. It keeps my family eating at home and eating healthy. One of my favorite money-saving tips is to create a stockpile when THM-friendly items go on sale. The rule of thumb is that you are supposed to stockpile enough items to last you until the next time the item goes on sale. I will admit, this is not always in my budget, but I am working on putting aside a few dollars each week to purchase some extra sale items. 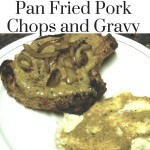 The above meals I listed may seem a bit boring, but trust me when I say they are PACKED with flavor. Why, you ask? Thanks to a little trick called spices. At my grocery store, you can get the little tiny cans of pepper, cumin, chili powder and more for just .99 a can. Experimenting with different spices is what can turn a bland rice and beans dish into something totally tasty. This is a cheap way to really add variety to your meals. I grew up eating leftovers whenever possible. As the oldest of 7, we tended to gobble up Mom’s meals, but the concept was still there, lurking behind empty dishes. In my house, we have four people, so leftovers are a bit more common. Generally, leftovers get used as the next day’s lunch for either my husband or myself. He likes having a hot lunch and I most definitely don’t mind having something fast to heat up! One thing that may surprise people is that I don’t cater to ten different palates. I cook just one meal for my family, with the exception of lunch, where my toddler eats a homemade Lunchable or mac and cheese and desserts because my man likes his sugared up brownies. Otherwise, breakfast and dinners are THM. I do use simple switchouts like no bun/regular tortilla for myself, a sweet potato instead of white and maybe a different beverage. You can see more of how I do that here. Cooking just one meal saves money on ingredients and it also saves me a lot of valuable time. 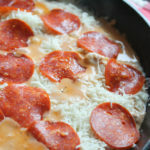 There are weeks when the ingredients to make my favorite THM meals aren’t on sale. 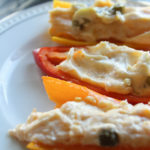 There are weeks when the store is out of my favorite Lavash bread and there go my lunch ideas! Part of frugality is the ability to be creative. There are many times when I have to be a little more creative and a lot less picky than I’d like to be. Some weeks eating healthy looks like a can of tuna on lettuce for lunch. While unglamorous, it serves its nourishing purpose! Don’t be afraid to make do with what you have and to put together unconventional items to create one healthy meal! The one thing that helps me to save money while eating healthy is to keep an open mind. 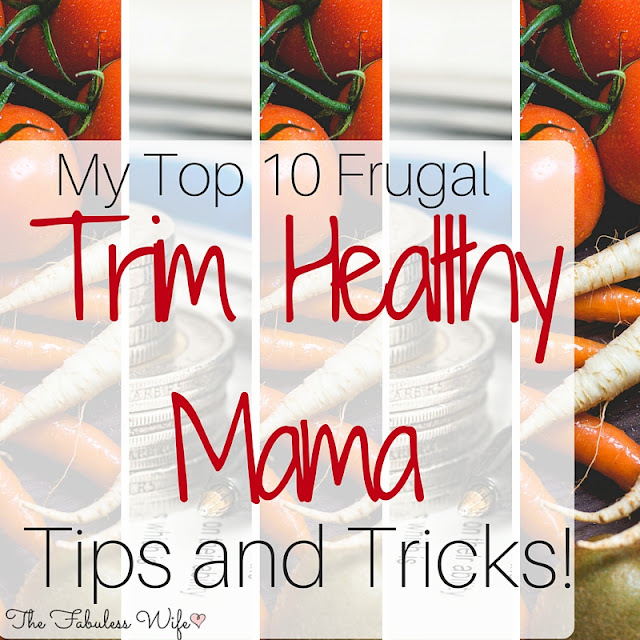 I’m always looking for new frugal recipes, new frugal tips and seeing how others work their grocery budgets. 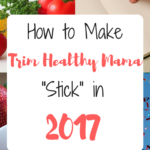 Even if a person is not a Trim Healthy Mama, I can still glean something from their process whether it’s a new technique for couponing or a recipe I can make healthy. Always be open to changing your process if it helps you save money. I live in the Midwest, in an area that does not accept double coupons. I can’t watch Extreme Couponing because my little green monster comes out! While I may not be able to get $700 in groceries for $7, I can save a few dollars on each transaction by using coupons. I know it can be hard to find coupons that fit a healthy lifestyle, so each Monday I take the guesswork out of it for you. 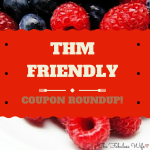 I post a list of THM friendly coupons so you can save money here and there. 🙂 Coupons can be a great source of savings, even if it seems like your progress is slow. This has been a HUGE money-saver for me, especially with the cost of most sugar-free items. For example, I make enchilada sauce, spaghetti sauce and salsa from scratch. I also have been known to attempt baking my own bread. If something is not too time-consuming, I will do my best to make it from scratch and save myself the extra dollars. Plus, my homemade versions taste way better than the store’s sugar free versions. 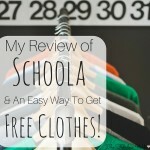 I’d love to hear your money saving tips! How do you eat healthy on a budget? 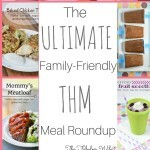 The ULTIMATE Family-Friendly THM Roundup! Kate are you married? I never see a husband on any of your profiles which is why I asked. I know of a great lad headed into ministry in Utah that I think would be a match. Yes, I am married. My husband works a lot and we don't find time to take many pictures together. We are working on documenting us as a couple, instead of just our children! I saw where you mentioned buying THM items on sale in bulk and thought I’d chime in with a response. I have scoured the marked down bakery cart at WM and found Joseph’s Lavish Bread and Pitas marked down. I get all of the ones they have and freeze them for use in a variety of ways. I’ve found sprouted wheat bread at times as well for $1.69/loaf and bought all of them to freeze. I’ve made it a routine each time I go to WM to scour the bakery cart. Since they usually keep it in the dairy area, I can pick up my yogurt and scour the cart with very little effort. That said, I noticed the WM Neighborhood stores do not normally have a mark down cart like the Super WMs have. But, the Neighborhood stores carry more gluten free items like brown rice pasta and more of a variety of Dream Fields pastas, whereas the Super WMs do not. I know it sounds strange, but that’s the way it is here in Georgia. 🙂 It makes planning and buying ahead interesting. I do the same thing. I love getting Joseph’s products for such a low price as well as the sprouted bread. Our markdown cart is near the dairy section too! 🙂 Mine is also a Super Walmart. Small town living lol! Thanks for the helpful tip! I totally forgot to mention that! Your tips are so practical. I love this! Making from scratch is so much lower cost! I love finding THE approved foods markdowns at a local store names Grocery Outlet. Thank you for sharing. Thanks, Miss Claire! <3 Yes, making from scratch is cheaper. It's also more fun..most of the time. 🙂 I love your video on YouTube about saving money by shopping Dollar Tree. I have one of those, I don't have a .99 store. Maybe someday!